Today I have something light, fun and easy enough for your tweens to make with you! I dreamt up and made this simple upcycled duck tape planter using holiday Duck Tape in about ten minutes flat. 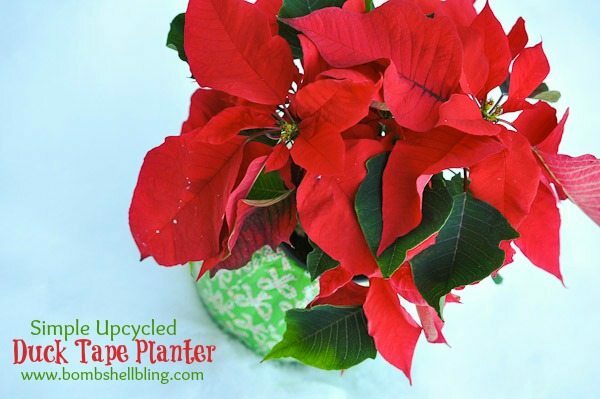 Let’s take a look at the amazingly simple steps that you can make to make your own festive holiday planter! 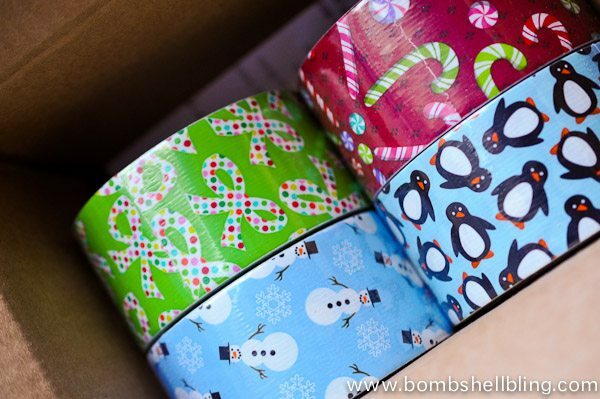 I received these DARLING holiday rolls of Duck Tape in the mail when I was invited to participate in the Duck the Halls project campaign, and I couldn’t wait to play with them! 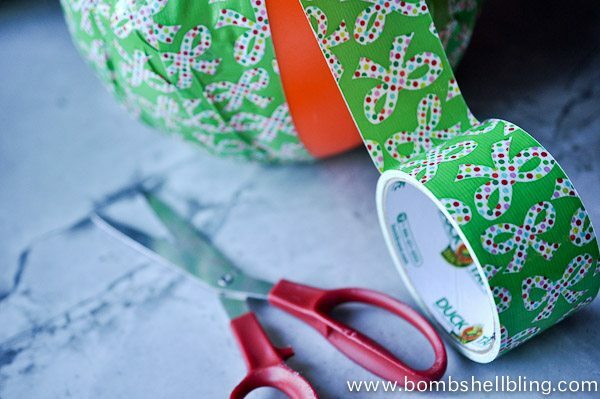 I only ended up using one pattern for this project, so you can expect to see more Duck Tape inspired projects in the near future! 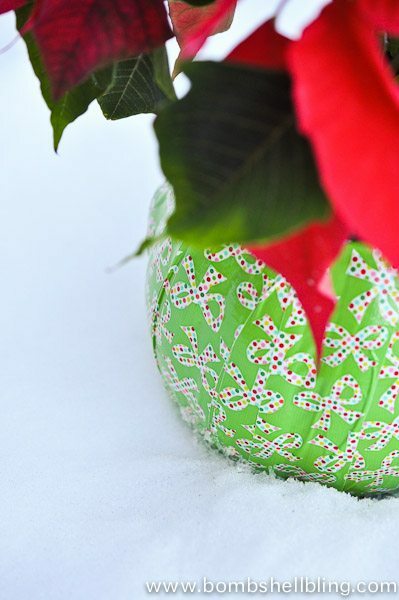 For this festive project I used one of the many Halloween pumpkins that I had hanging out in my basement, the Holiday Bows Duck Tape, and a small potted poinsettia that I was recently given as a gift. That’s it! Now buckle up and get ready for the simplest tutorial of your life! Pull the handle off of your pumpkin. 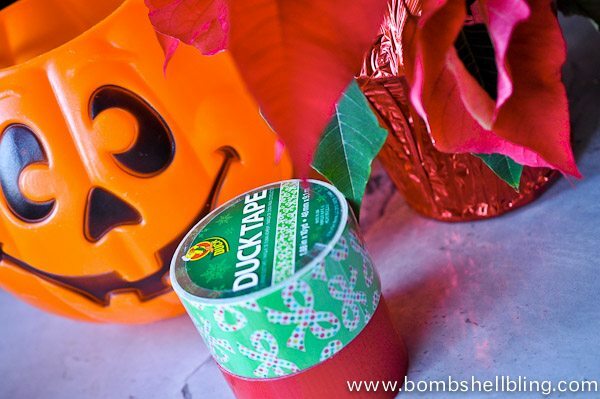 Fold the end of the Duck Tape over into the pumpkin and tape it onto the pumpkin. I cut or tore off each piece once it got to the bottom, and then I just moved over to the next spot. Repeat until it’s covered. That’s it! Pull the outer foil layer from the poinsettias and shove your plant (still in the plastic container) into the pumpkin. Ta da! Cute cute, right? It’s not perfect, but it’s so dang cheery! If you are interested in seeing more super fun and simple Duck the Halls projects then be sure to use the hashtag #DuckTheHalls to search for fun pics and ideas on social media, especially on Pinterest! You can find my #DuckTheHalls project on Pinterest HERE. 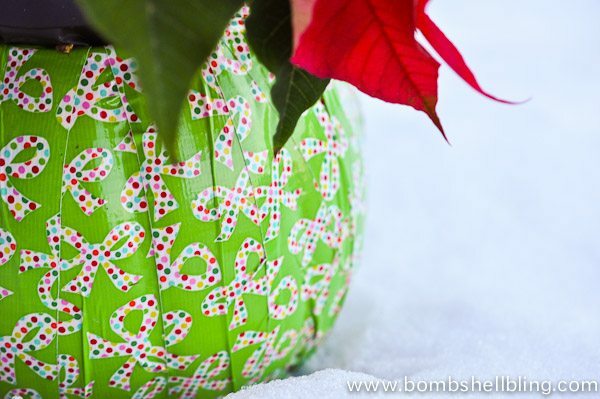 You will see loads of fun ideas if you follow The Duck Tape brand on Twitter! Find them with the handle @TheDuckTape. Have a lovely day!